When I first entered the Seminars for Health teaching facility I have to admit, I was a little intimidated. It had been over two years since pulling a chair up to a massage table that would double as a desk. What if I couldn’t remember all of the nerve branches and roots of the brachial plexus? What if they asked me to palpate semimembranosus and I palpate semitendinosus? I’d be humiliated! 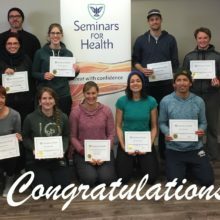 But as we settled into the Advanced Orthopaedic course the intent of our instructors became quite clear; make the Massage Therapy profession the best it can be. Orthopaedic Massage, as laid out by Seminars for Health, pertains to a specific pressure and angle with which to address a particular muscle. Several techniques including active and passive movement of muscle groups are taught, along with efficient biomechanics. As the course navigates the body, bones, muscles, joints and individual structures are reviewed. Students are encouraged to put thought into a muscle’s specific layout, fiber direction and movements so when techniques are applied there is intent with what you as a therapist are trying to accomplish. When returning to my practice, I found I was readily applying some techniques and not others. Why? It is human nature to stick to the comfortable and familiar. I remember my instructors addressing this common fall back and encouraging us to step outside our comfort zone not just for the betterment of us as therapists, but for our clients. The first week of the application was uncomfortable, the second week a little less so, and after about a month the uncertainty was gone. Not only was I receiving more positive feedback from clients, but tissue responses and results became increasingly dramatic. Further, as we were mentored to think critically and with intent, I am now much more engaged in my treatments. As professionals (and for some of us new graduates) I think there is a tendency to believe we must retain every anatomical detail that was thrown at us in massage school. While this may be easier to maintain when dealing with the public, coming together with other professionals may elicit feelings of uncertainty of how much we know. Frustrating as it is, it is also (I believe) one of the best parts of our discipline; we never stop learning. Approaching continuing education with an open mind such as this will not only better us individually but the Massage Therapy profession as a whole. 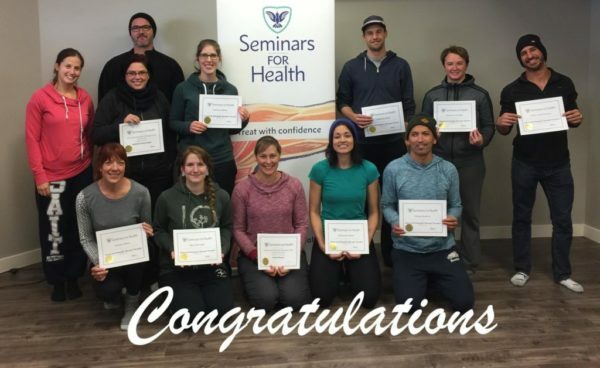 For more information about the Advanced Orthopedic Massage Certification Program click HERE.